VATICAN CITY (CNS) — People who don’t give money to the homeless because they think it will be spent on alcohol and not food should ask themselves what guilty pleasures they are secretly spending money on, Pope Francis said. “There are many excuses” to justify why one doesn’t lend a hand when asked by a person begging on the street, he said in an interview published the day before the beginning of Lent. But giving something to someone in need “is always right,” and it should be done with respect and compassion because “tossing money and not looking in (their) eyes is not a Christian” way of behaving, he said. The interview, published Feb. 28, was conducted by the monthly magazine, “Scarp de’ Tenis” (Tennis Shoes), which serves homeless and marginalized people in Milan and is run by the local and national Caritas branches. The pope was scheduled to visit Milan March 25. Of the several questions the pope was asked, one focused on whether he thought giving money to people begging on the street was the right thing to do. Or, another way to look at it, the pope said, is recognize how “you are luckier, with a house, a wife, children” and then ask why should the responsibility to help be pushed onto someone else. When encountering people who live on the street, the pope said he always greets them and sometimes inquires about their lives and background. He always chatted with a homeless family and couple that lived next to the archbishop’s residence in Buenos Aires, Argentina, he said, and never considered getting rid of them. When “Someone told me, ‘They’re making the chancery filthy,’ Well, the filth is within” one’s heart, he said. It’s important to be sincere because “people who live on the streets understand right away when the other person is really interested” in them as a person or when they just feel pity, he said. 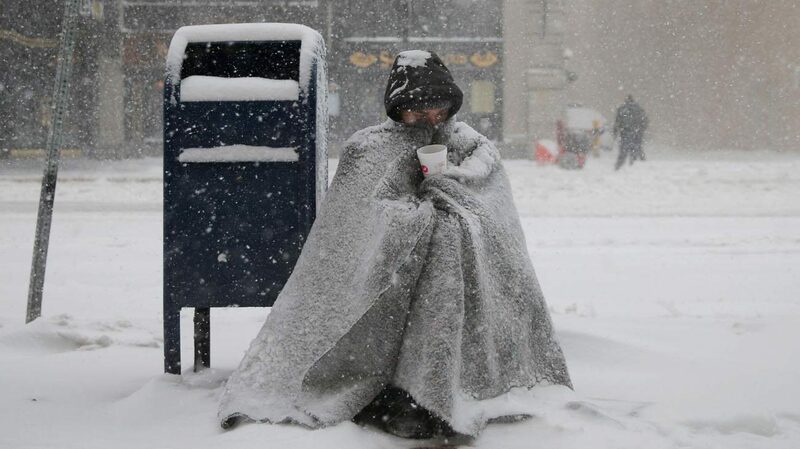 “One can look at a homeless person and see him as a person or else as if he were a dog, and they notice this different way of looking” at them, he said. Also, he said, problems are more starkly evident in the poor neighborhoods, for example with substance abuse, “you see more drugs, but only because it’s more ‘covered up’ in other neighborhoods” where users are “white-collar” abusers.